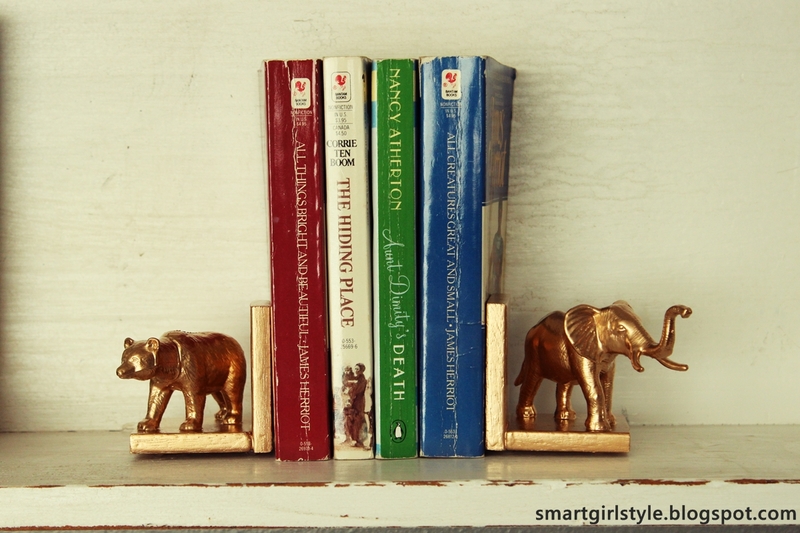 Most of the time, our bookshelves are too packed to even FIT a bookend! 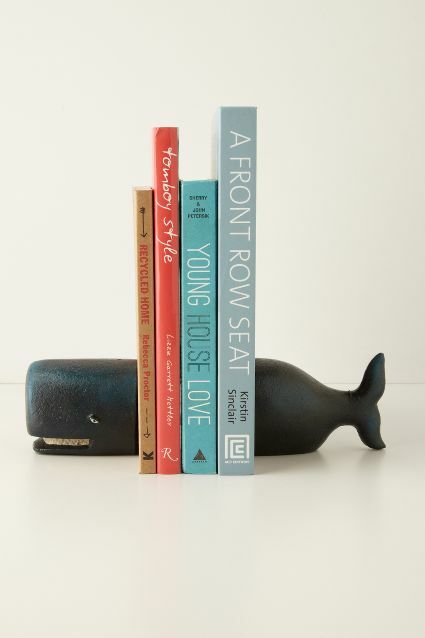 But every once in a while we dream of perfectly ordered shelves with eye-catching bookends that would make guests ooh and ahh and keep our beloved books in whimsical company. 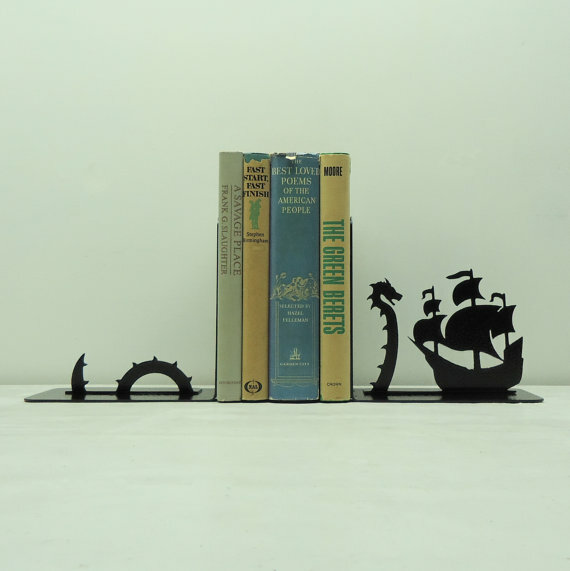 For your viewing pleasure we collected our absolute favorites of all the bookend ideas the internet has to offer. 1. 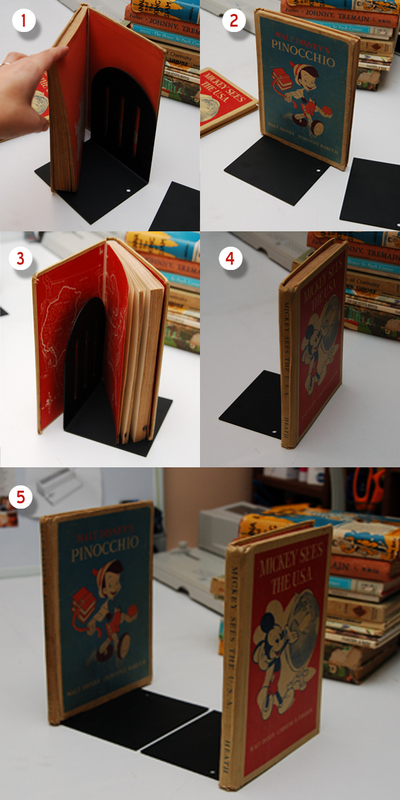 Love this idea for using simple bookends and books to create the illusion of a perfectly straight little collection of books. 2. 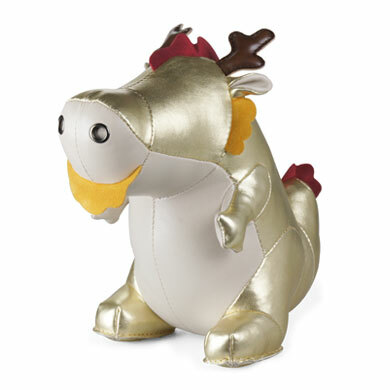 This one from Anthropologie is almost too whimsical. The whale is smiling and we are smiling right back. 3. 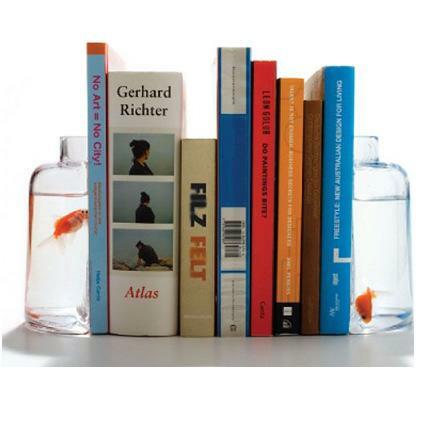 Fish bowl bookends! This makes us pretty nervous for the fish. We’d try filling them with soil and planting herbs or flowers. 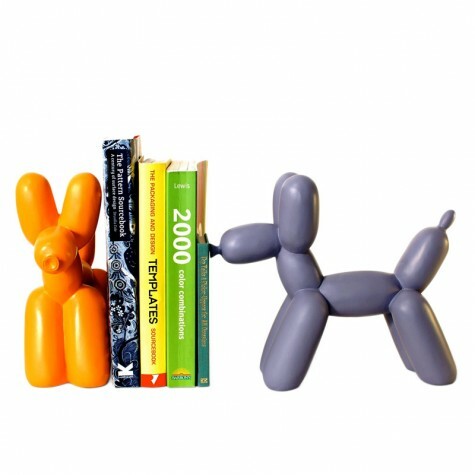 4.These balloon animal bookends are so fun. Our inner-child is doing jumping jacks. 5. 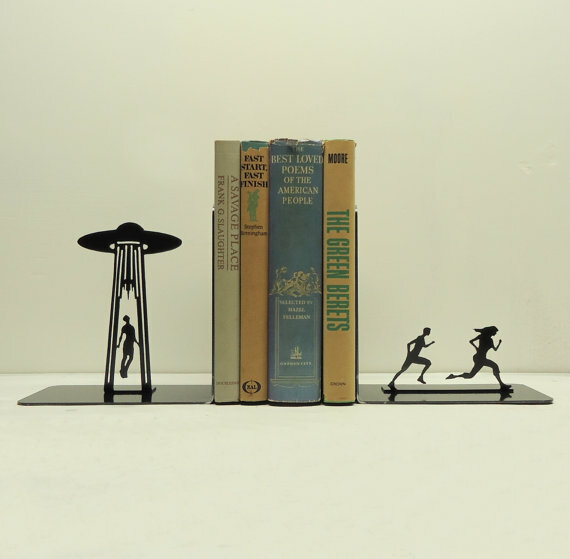 An Etsy shop, Knob Creek Metal Arts, makes a whole series of hilarious bookends that tell their own story. 6. 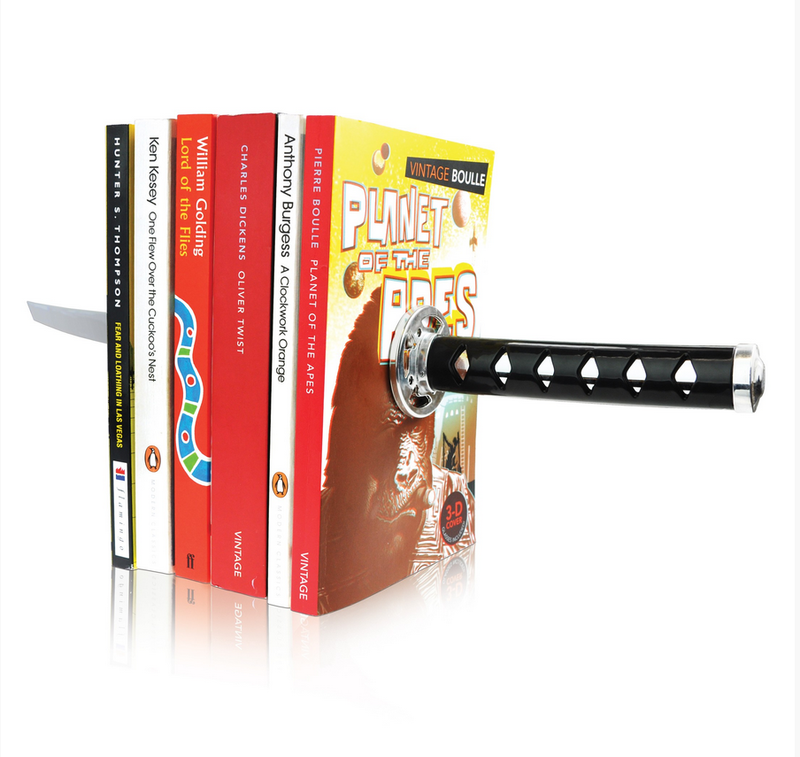 We had to include this sword bookend because it’s such an effective optical illusion, but we are heartily anti-violence, especially towards books! 7. 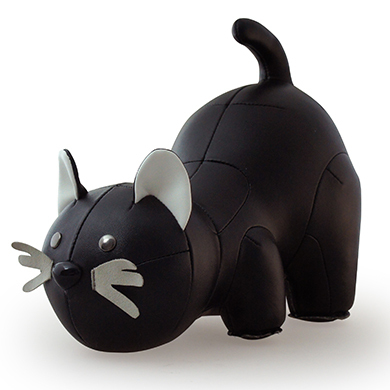 The Zuny animal bookend series is made up of adorable creatures who look thrilled to be holding up your books. They have everything from poodles to dinosaurs. 8. 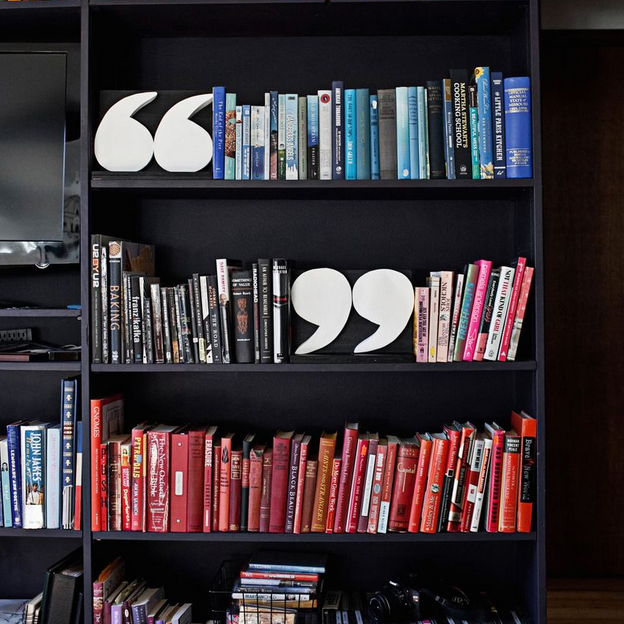 These lovely DIY quotation mark bookends from A Beautiful Mess are for the ambitious crafters among us. 9. 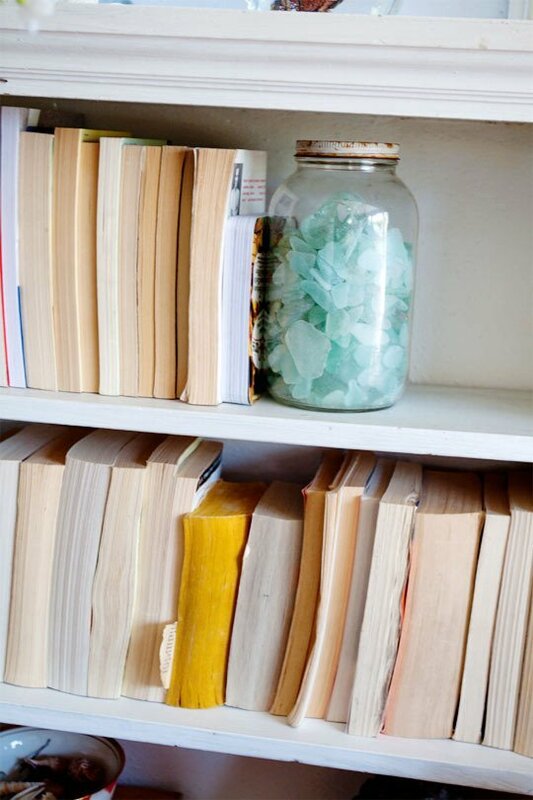 Another DIY approach from Apartment Therapy: Fill a mason jar with something pretty, like beach glass, shells, or even rocks! 10. Plastic toys, wooden blocks, some gold spray paint, and you’re in business!